During the recruiting process, college coaches obviously play a major role in a recruit’s life. The idea of a coach who has a great career, lives this exciting life, a real professional, wants your attention & for you to play for this big university can seem surreal. I mean, this is a pretty big deal, strangers who’ve only watched you play a few times deem you worthy enough for them to include you in their busy lives, and basically their livelihood depends on how well they can get to know you & your family. They make you feel like you’re the only thing that matters! To this day my recruitment process is one of the fondest times in my life, I’ve gotten married, had kids, played professionally, etc. But the time I spent talking on the cordless phone (LOL) to coaches is something I won’t ever forget. Kids never forget… The recruiting process is so important in a player’s life. To have the attention of grown men/women at these universities you’ve seen & heard about your whole life is an unbelievable feeling. Coaches have been doing it their entire careers, & have recruited hundreds of kids, but when a player goes through it, it’s a little different. Its life changing. It makes you feel like all the hard work you put in is worth it, honestly, it’s your 1st taste of “celebrity”. I think sometimes coaches lose sight of that because they do it for a living. You’re really changing the kid’s life whether you know it or not. Especially when kids cut their lists down, & you’re a “finalist”, the time you spent talking to him and his family, building that bond, if done the right way, is something that lasts forever. I know with the social media aspect, and entitlement of kids & parents, things can get out of hand. With the “Blessed to receive…” craze that’s happening, it can make recruiting for coaches something they can live without. Just try to remember that to most kids, it’s still something that will forever be etched in their brains, even if they don’t choose your school. Marcus Sloan is a graduate of Eisenhower HS, in Houston, TX. He played collegiately at TCU, and also spent 8 years playing professionally in Europe. 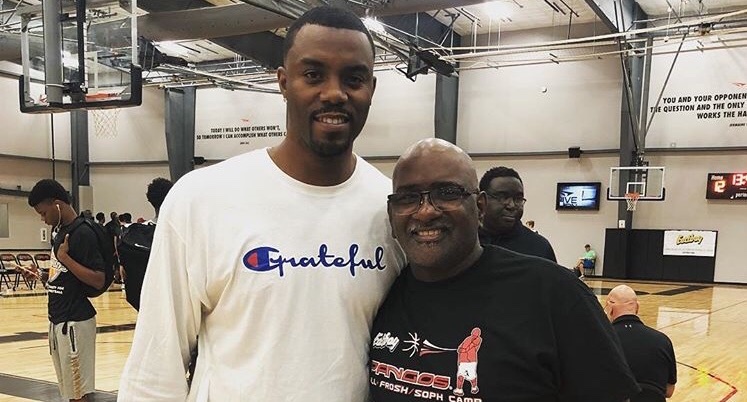 Since retirement he’s coached on the UAA circuit for 3 years with the Houston Defenders (2017-2019). He currently runs an NCAA approved scouting service, OTR Exposure, OTRExposure.com. You can follow Marcus on social media…@bigsloan32 on Twitter and @the_marcussloan on Instagram.